Mrs. Casey was awarded the 2009 Marilynn Etzel Piano Commission by the Iowa Composers Forum. Her piano composition, Out of the Depths, was premiered at the joint Festival of Iowa Composers Forum and Society of Composers, Inc., Region V, at Clarke College in Dubuque, Iowa, in October 2009. Other commissions have come from the Columbus Women’s Orchestra, the Columbus Alumnae Chapter of Sigma Alpha Iota (SAI), the Ohio Federated Music Clubs (OFMC), the Western Pennsylvania Ministers Chorus and the Church of the Savior Lutheran in Paramus, New Jersey. The MMC label released a CD containing Seven (A Suite for Orchestra) and Gli intrighi d’amore (The Intrigues of Love) for Woodwind Quintet and Narrator. Mrs. Casey has received the ASCAP Plus Award annually since 1996. Mrs. Casey’s compositions have been performed throughout the Midwest and the South including Indiana Wesleyan University, Duke University, the Eastman School of Music as well as in London, England at the 13th London New Winds Festival. Several other works were presented on the “Sundays at the Huntington” recital series sponsored by Women in Music – Columbus at Capital University, Columbus, Ohio. Mrs. Casey, an independent teacher of piano and voice, has degrees from Texas Woman’s University and Golden Gate Baptist Theological Seminary. She was on the faculty at University of the Cumberlands, Williamsburg, Kentucky, and was an adjunct teacher at Edison Community College, Ft. Myers, Florida. 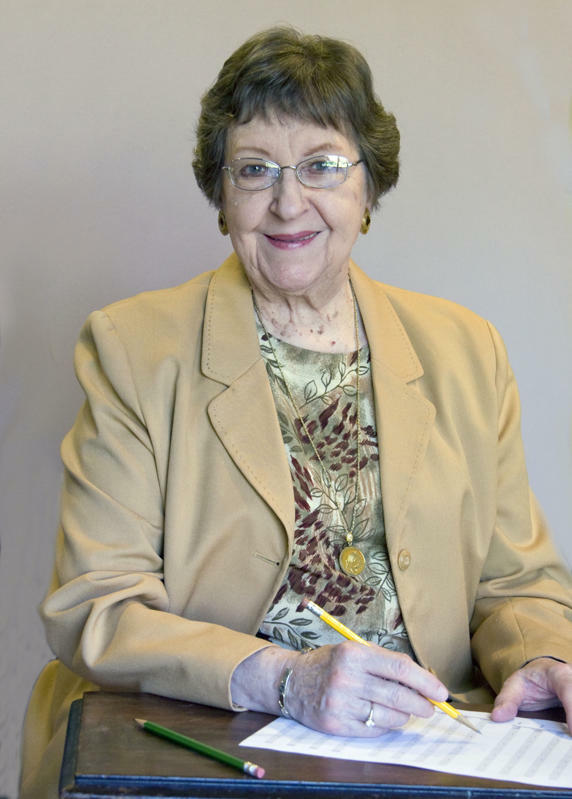 Mrs. Casey studied composition privately with Dr. Marshall Barnes, retired music faculty of The Ohio State University School of Music, until his death in 2007. For eighteen years she served as Minister of Music for Baptist churches in Oregon, California, Kentucky and Florida. Soprano Jerry Casey, who retired as a full member of the National Association of Teachers of Singing (NATS) and as a nationally certified voice and piano teacher Music Teachers National Association (MTNA), has given recitals in New York City, California, Florida, Kentucky and Ohio. She sang several roles with the Southwest Florida Opera Association and appeared with the Ft. Myers (FL) Symphony in Mendelssohn’s St Paul. Jerry Casey is a member of The Society of Composers, Inc. (SCI), International Alliance for Women in Music (IAWM), ASCAP (American Society of Composers, Authors and Publishers), Christian Fellowship of Art Music Composers (CFAMC), Iowa Composers Forum (ICF), and American Composers Forum. You look familiar. Did you ever lead music worship for the First Southern Baptist Church of Bellflower, California? If so, you formed a trio that consisted of Karen Wideen, Dianne Robinson and me (Linda Lewis). Your tutelage was invaluable. I hope you’re the Jerry we knew and loved! Yes, Linda. I am that Jerry Casey. How wonderful to hear from you after all these years! Linda, I was going through some boxes and found an news article about your family at the church in Bellflower. We had a Graded Choir Celebration and it got a picture and feature article. Would you reply to me on my email: musiccasey@sbcglobal.net Then I can attach a photocopy of the article and send it to you.